The games of the XXIX Olympiad will officially kick off at 9:50pm Friday August 8 on Channel Seven. It will be hosted by Matthew White, with commentary from Bruce McAvaney, Sandy Roberts, Sonia Kruger and Ric Birch. In Sydney and Brisbane it is preceded by an Olympics Countdown from 9pm. On Thursday August 7 there will also be a football match between Australia and Serbia at 9pm. Sporting events then kick off at 11am Saturday August 9 with Women’s Basketball (Aus v Belarus). Seven’s schedule will consist of Sunrise (6am), Yum Cha (9:30am), Olympic events (11am), Seven News / Today Tonight (6 / 6.30pm) and more Olympic events from 7pm to 2am daily. David Koch and Mel Doyle will present Sunrise direct from Beijing from August 4 for one week. Anna Coren will also travelling to Beijing to present Today Tonight. The biggest event on television is only days away. 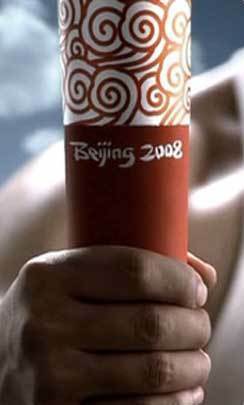 8 July 2008: The biggest event on television in 2008, and the single largest undertaking by any network since Seven’s coverage of the Games of the XXVII Olympiad in Sydney in 2000, is now only days away with the Games of the XXIX Olympiad in Beijing. This will be Seven’s 12th Olympic Games. It will be first Olympic Games to be completely broadcast in high definition – with Seven accessing more than 1,200 broadcast cameras, 61 outside broadcast production trucks, 375 production vehicles, 70 separate vision feeds and 15 dedicated satellite links to create the most extraordinary television coverage of a major event. Seven will use 3,000 hours of satellite and digital video network time, and will have equivalent of 150 videotape machines and be using 500 television monitors, in addition to the global television coverage technology for the Games. It’s a lifetime away from Seven’s first coverage of an Olympic Games: Melbourne in 1956. Then, Seven’s coverage was based on three black and white cameras and one small outside broadcast unit that covered track and field at the Olympic Stadium (the Melbourne Cricket Ground) and then as dusk fell, transferred those cameras and outside production unit to the Olympic Swimming Pool during the evening. Seven’s coverage in Beijing is being led by Seven’s Head of Sport, Saul Shtein, Executive Producer, Andy Kay and General Manager of Sport Operations, Col Southey. Seven will produce more than 633 hours of television coverage for Seven and SBS. More than 500 Australians will be involved in the television coverage – Seven’s biggest production commitment since the Olympic Games in Sydney. In addition to these 500, more than 100 specialists from Seven will also play a critical role in the global television coverage with Seven again contracted by the Beijing Olympic Broadcasting Organisation to provide technology and crew and to produce television coverage of all swimming, diving, water polo and synchronised swimming events in Beijing. Seven produced the global television coverage of all swimming events in Sydney and Athens as well as coverage of all Freestyle Skiing events at the 2006 Winter Olympics in Torino. Eighteen months ago, Seven was recognised by the International Olympic Committee as the leader in the coverage of the Olympic Games. Seven was awarded the highest honour – the gold award in the Olympic Golden Rings, a prestigious international competition in which the International Olympic Committee seeks to promote and award excellence in television coverage of the Olympic Games. In all Seven won gold, silver and bronze in three of the four broadcasting categories – competing against television networks around the world in the biggest sports event on television, an Olympic Games. In a great recognition of Seven’s technology and production capabilities, Seven was awarded in the category: Best Olympic Sports Production. Commenting, Mr Kay said: “We’ve assembled a group whose broadcasting experience and expertise in Olympic sports combines to give Australian viewers front row seats for an Olympic coverage never before seen. Anchoring the coverage will be Johanna Griggs, Matthew White and Sandy Roberts, reprising the roles they performed in Athens – a coverage which won the Seven Network the Golden Rings Award for the Best Olympic Coverage in the world as voted by the IOC, eclipsing broadcasters like America’s NBC and the BBC in England. They’ll be joined in the studio by Andrew Daddo as host of the China-based program Yum Cha. Kylie Gillies will present regular news updates. Johanna, Sandy and Matthew will direct traffic from their studio in the International Broadcast Centre in Beijing’s Olympic Green and take viewers to all parts of the country and as far as Hong Kong for coverage of the equestrian competition. Bruce McAvaney will anchor Seven’s covering of swimming and track and field. Joining Bruce at the pool is Olympic gold medallist and accomplished swimming commentator Duncan Armstrong, while at the pool deck another former gold medallist, Daniel Kowalski, joins Seven for his first Olympic commentary role. Daniel will be the first person to greet the swimmers as they leave the pool following their events. When Bruce ventures across to track and field, he’ll meet a commentary team also boasting a wealth of Olympic glory and experience. Olympic silver medallist Raelene Boyle, Olympic gold medallist Steve Ovett, World Championship medallist Steve Moneghetti and Olympic finalist David Culbert bring years of athletic and broadcasting experience to the microphone and can’t wait to share that experience with millions of Australian viewers. Seven’s commentary team boasts some of Australia’s best known athletes and experts. Kerri Pottharst and Julien Prosser at beach volleyball; Lauren Burns at taekwondo; Andrew Gaze and Rachael Sporn at basketball; Dean Pullar at diving; Debbie Watson at water polo; Phil Liggett and Mike Turtur at cycling; Rechelle Hawkes and David Wansbrough at hockey; Nick Green at rowing, Damian Brown at weightlifting; Kerri Tepper at table tennis and Greg Welch at triathlon are just some of the former superstar athletes who will join Seven’s commentary team for this project, which has been some seven years in the planning. Seven will broadcast from 9.30am each morning – after an Olympic flavoured Sunrise program – until 2am the following morning. This will be complemented by Seven News at 6pm and Today Tonight at 6.30pm. Add four hours per day of highlights on Yahoo!7 and Seven’s mobile coverage on Telstra Big Pond and Australians will have access to the most comprehensive and stunning Olympic Games coverage ever. The Sunrise Olympic journey begins on August 4 when David Koch and Mel Doyle present the show direct from Beijing. They’ll tour the venues, chat to our athletes and sample the sights and sounds of China. Then Brekky Central becomes Games Central from Monday August 11. Relatives of our Olympians will form a massive Aussie cheer squad each day in our studio. The Sunrise team will be joined by our hand-picked panel of experts – including Jodie Henry and Matt Shirvington. Sunrise will have Australia’s most comprehensive wrap of overnight action – including exclusive replays of the big medal wins. Our Beijing coverage will be led by Mark Beretta, who will keep viewers up-to-date with all the latest sports news, as well as Grant Denyer and Monique Wright, who have full access to daily events and will join our Olympians each night as they soak up the Olympic City’s nightlife. And only Sunrise can take you inside the Athletes’ Village each morning for live interviews with our team’s big performers. But the close of the Games doesn’t spell the end of our coverage. Sunrise will also broadcast LIVE from Sydney Airport on Tuesday August 26 to welcome home our Australian team. One of the most exciting and yet challenging telecasts of the Beijing project will be the morning program Yum Cha, which begins on day two of the Games in the 90 minutes before competition begins and will run each day until the day of the closing ceremony. It’s a great opportunity for Seven’s Andrew Daddo to reprise a similar role he carried out so successfully on Olympic Sunrise during the Sydney Games in 2000 (a program he still rates as one of the highlights of a career spanning more than two and a half decades). Yum Cha will be a panel based program where Andrew can call on a myriad of guests to join him in the studios of Beijing’s International Broadcast Centre to join him in serious and not so serious discussion regarding any element of the games, be it the sports competition both preview and review, the Chinese culture and how they are handling the Games, the latest news surrounding the Games and just straight out fun. The program has been in development for several months and producers have a long list of Australian and international guests lined up – and not just sporting personalities. And as the sports competition and telecast will finish as 2am each morning AEST, Yum Cha also provides the opportunity to highlight events viewers may have missed in the late night hours. It will also target the more extraordinary moments not necessarily shown in the normal coverage. Personalities such as Sonia Kruger, Rebecca Wilson, Tom Williams, Duncan Armstrong, Phil Liggett, Steve Ovett and Raelene Boyle will all make regular appearances while rising network star Kylie Gillies will also be a large part of the show, not just presenting news updates but using her wealth of sporting knowledge to add to each day’s discussion. Yum Cha runs from Day 2 at 9.30am AEST until 11am on all days of the Games except the middle two Sundays where it will start even earlier to make way for the telecasts of the men’s and women’s marathons. With Sevens comprehensive Olympic coverage, what are the plans for the other networks? Will they go into ‘non- ratings’ mode and not show anything worthwhile as it will be lost among the Olympics hype on Seven? Matt, the football on Thursday will be shown live in the eastern states because they are two hours ahead of Beijing time. I’m pretty sure that the football on Thursday must be being shown on delay – dissapointing. 1. In Sydney and Brisbane it is preceded by an Olympics Countdown from 9pm. This probably means the Friday night AFL match between Melbourne and Geelong will be shown in Sydney and Brisbane AFTER the opening ceremony, at the late time of 2am Saturday. 2. On Thursday August 7 there will also be a football match between Australia and Serbia at 9pm. This means The Amazing Race 12 will finish at Thursday July 31.